Skillfully painted lips are able to transform one’s face completely. You'd be surprised at the results after using just a lip pencil and a shade of lipstick. The main thing is to know how to use them correctly and our lip makeup tips will guide you. The first tip is lip care! The skin on the lips does not produce melanin and is vulnerable to sunlight. In the winter, the lips are also challenged because of the cold and the wind. Therefore, take care of your lips; do not neglect balms and peeling products. If the lips are weather-beaten, cracked, or shelled, then even the most expensive lipstick will not make them smooth and you will not be able to hide all of these flaws! If you pay your lips a little more attention, the result will not take long. You can apply makeup after your initial caring procedures. First, decide exactly what you want to achieve. Someone could want to augment the lips; another may want to make them smaller (although the first group is still a clear majority). All of this is quite capable for everyone. After reading lip makeup tips, you can safely initiate your plan. If you use foundation, then apply it on your lips as well. Next, using a lip pencil, contour your lips. To make your lips look bigger, the lip contour line should be applied approximately 1mm above the upper lip. To make your lips look smaller, apply it 1mm below. The shape of the contour line can vary in order to achieve different effects. You should leave your lower lip and corners as they are. 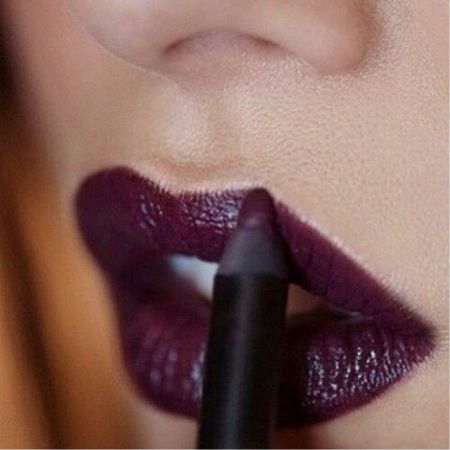 The color of your lip pencil should be darker than your lipstick color or just the same as the lipstick. The color of your lipstick should "call up" with the color of your clothes and rouge, and it should match with your hair. Usually brunettes choose bright and juicy shades, and blondes choose delicate pastels. However, every situation is different. We will discuss tips for choosing the color of a lipstick in other sections. After applying the first coat of your lipstick, take a napkin and blot the excess by lightly kissing the napkin. Then you can apply a second coat and finally correct the line. All is ready! Your lips are ideal. Now you can go on to conquer the world and win the hearts of fans. Like the article «Lip Makeup Tips»? Share it with friends!